There’s nothing simple about complex litigation. Thus, the name. But Mark Burton does not shy away from the challenge of cases that most of his colleagues consider taboo. Burton, of Audet & Partners LLP in San Francisco, developed a reputation early in his career as a go-to person for cases involving complicated issues or ones that had never been done before. Unenviable as it may be, that particular skill set seemed to bring out a sense of pride in Burton, but in a humble sort of way. Burton this summer brought the first trial against agrichemical giant Monsanto in a lawsuit alleging its weed killing products, including the widely used Roundup, cause cancer. In the highly publicized case, plaintiff Dewayne Johnson had been diagnosed with non-Hodgkin lymphoma after using Monsanto’s herbicide products for years as a school groundskeeper in the East Bay Area. Burton and his team obtained a $289 million jury verdict in August and now must endure the inevitable post-trial battles. “A lot of good memories about that case just because it’s the first Roundup cancer case,” he said. “We really had an incredible team of attorneys for that. Everyone was from out of town, so we kind of lived together for a couple of months. All summer long, I would bring them out to my ranch on the weekends for a barbecue. Monsanto indeed filed motions with Superior Court Judge Suzanne Bolanos to set aside the verdict, reduce the award or grant a new trial. A hearing on the motions was scheduled for October 10. Meanwhile, the company, now owned by Bayer AG, continued to deny that its chemical glyphosate causes cancer, saying on its Twitter account the jury got it wrong. Thousands of similar lawsuits have been filed nationwide against Monsanto, and Burton said his team will be trying another one in 2019. Burton insisted that as he was considering career choices, law sort of chose him. He started taking business courses in college, and the business law class came rather easy to him, he said. Soon, he discovered he just happened to be a quick study when it came to law. Burton graduated from UC Santa Barbara and chose Golden Gate University law school because, he said, it had a great clinical program that would allow him to get into the courtroom sooner rather than later. Still, he wasn’t sure what he would do within the law profession. Initially, he thought of getting a public defender position that would get him trial experience. But he graduated from law school during the George W. Bush recession in 1995 and nobody was hiring, he said. With his options limited, Burton tried to become a research attorney for San Francisco Superior Court, which interviewed law students before they even took the bar exam. He ended up in the final round of interviews, but at the time, “I looked like I was about 16,” he said. The judges told him they were interested in hiring someone with more experience. Because he was in court so often, Burton sort of bumped into his next mentor, LeRoy Hersh, who had seen him in court and basically approached him about a job. Hersh & Hersh is where Burton developed a knack for complex litigation. There he built a diverse practice, trying personal injury cases, employment law, wage and hour, harassment, pharmaceuticals, medical devices and medical malpractice. He worked his way up to partner in 2004. Today, working mostly in complex litigation, Burton has an approach that may differ a bit from basic personal injury or employment cases. With the Roundup trial, Burton said the team did mock juries beforehand as a means for honing the messages about how they were going to simplify the issues and figure out what was important for the jurors to understand about the case, about cancer and about Roundup, he said. In the run-up to the trial, they had a team of about a dozen attorneys working on different issues. And during the trial, they continued to run a mock jury using the issues taken from the trial each day. Burton also took from the Roundup trial a nice little anecdote involving a certain celebrity couple who also happened to be avid environmentalists very intrigued with the outcome. Rock musician Neil Young and actress Darryl Hannah were following the trial, and Burton along with some of his colleagues ran into the couple inside an attorneys’ private room at the courthouse. It was one of those truly memorable moments, he said. Another case that was quite memorable for Burton was the one involving Zyprexa, in which the firm represented more than 300 clients who allegedly developed diabetes after ingesting the medication. The settlement total overall is approaching $2 billion, and Burton negotiated the first at $190 million, he said. In between the lengthy, complex trials, Burton stays busy taking care of his ranch in Marin County, whether it’s projects on the ranch or caring for the many animals the family has. His two sons “are really into baseball,” and he enjoys coaching them. He even built a baseball field on his property. Burton also serves as a volunteer firefighter, participating in weekly training and responding to calls. And if all that weren’t enough, he’s also on the board of trustees for the local school district. “There’s always a lot of things to be done,” he said. 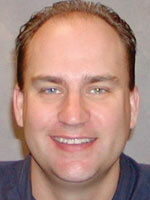 Stephen Ellison is a freelance writer based in San Jose. Contact him at ssjellison@aol.com.